Watch out, PCX 125. 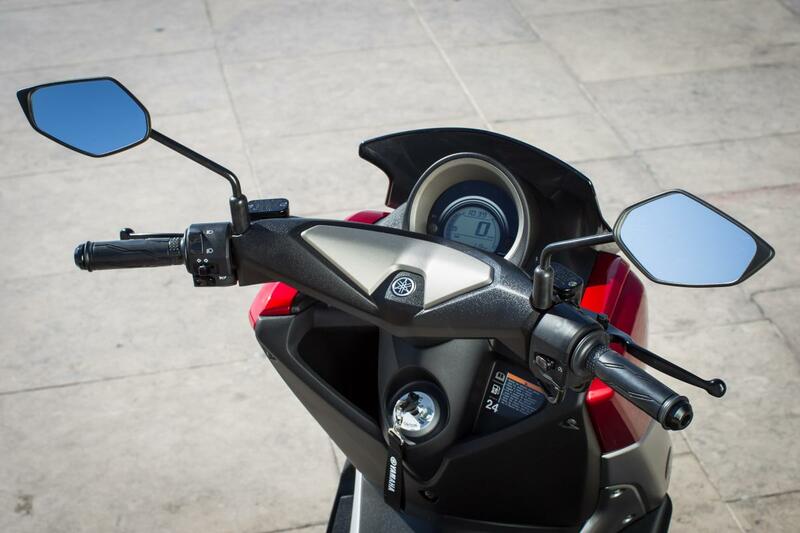 The NMAX is coming for you. 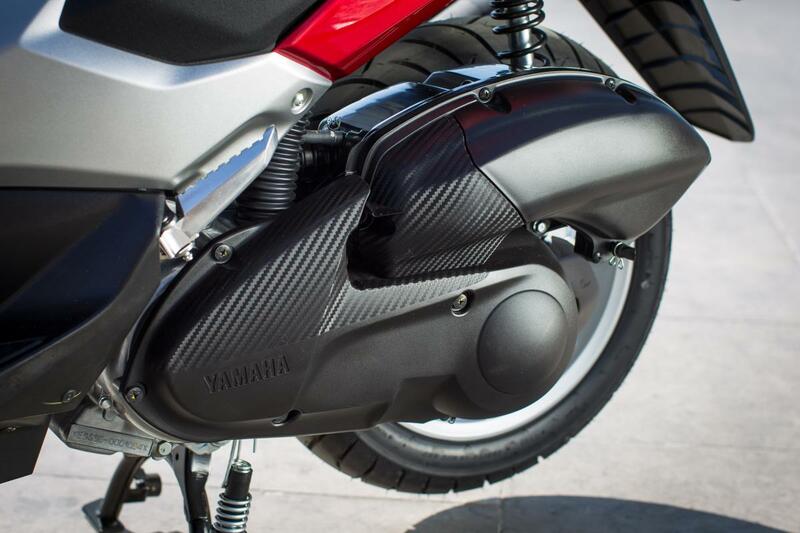 USUALLY bike makers can't tell us about a new model without saying things like 'spirit' or 'emotion' or 'intense aura of greatness'. Things you might call meaningless. Yamaha's presentation on the NMAX 125 was less equivocal. 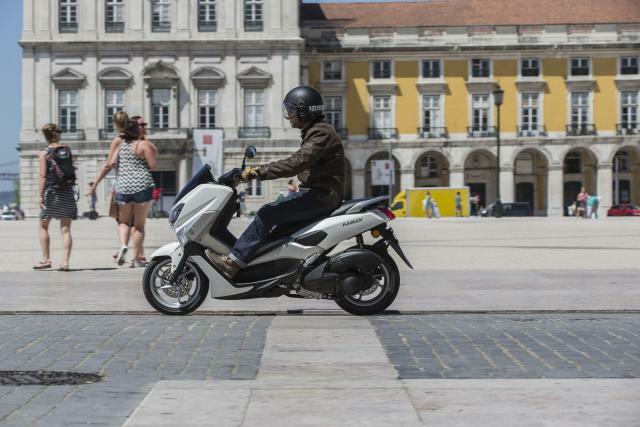 Speaking to journalists at the launch in Lisbon, the firm said the scooter aimed to be better and cheaper than Honda's PCX 125. No need for intense auras with plain-talking like that. 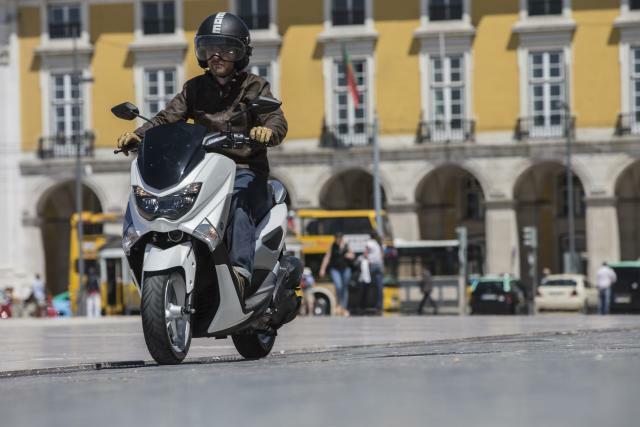 The firm has good reason to target the PCX so directly and transparently: the Honda is consistently the UK’s best-selling powered-two-wheeler and one of the best-sellers in Europe. In just as straight-forward terms, Yamaha told us the NMAX had a higher top speed and accelerated more quickly, putting it two-and-a-half scooter lengths in front of a PCX over a distance of 200m. 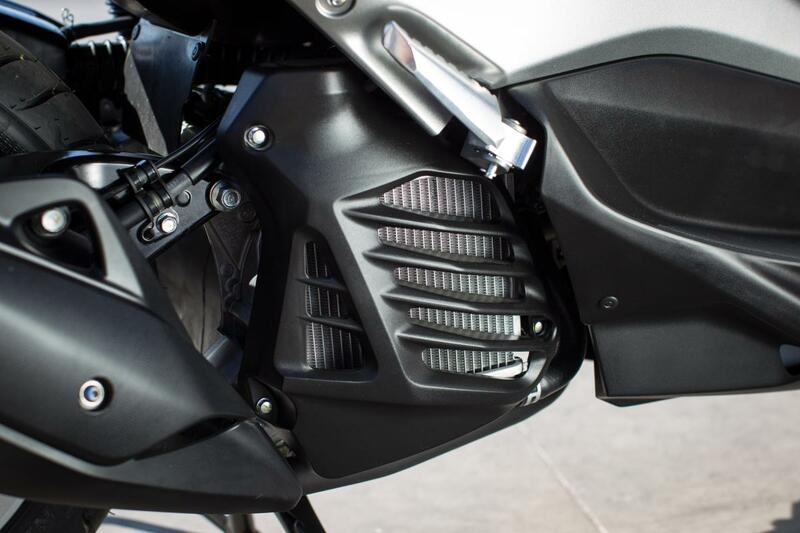 They said it was more powerful and lighter. 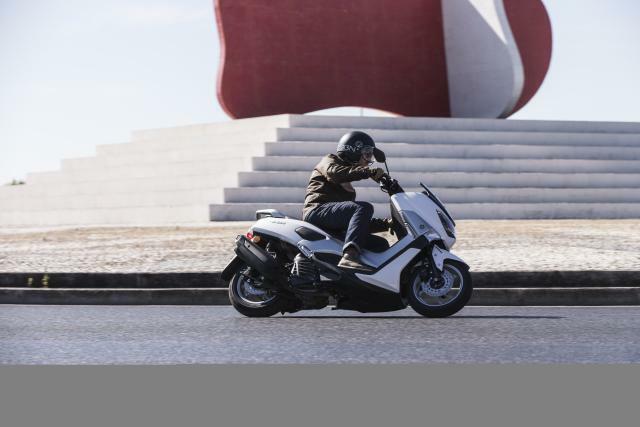 It makes 12hp from its all-new 125cc liquid-cooled single-cylinder and weighs 127kg wet, compared to the Honda’s claimed 11.5hp and 130kg. They said it had a better spread of torque. 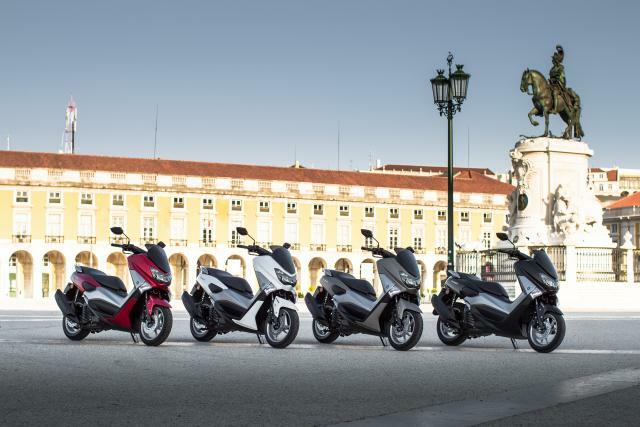 They told us the price: £2,671 compared to the PCX’s £2,699. 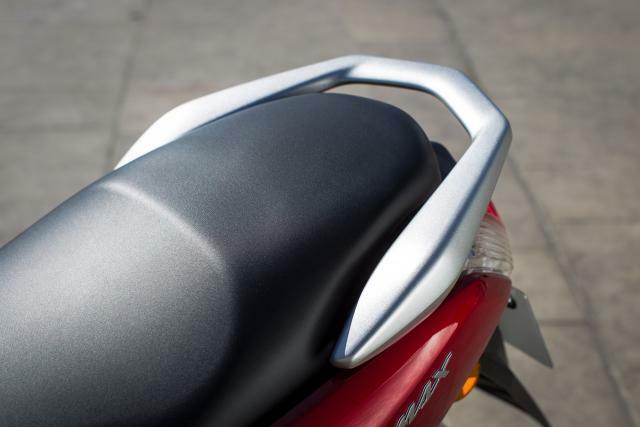 And they said the NMAX has ABS as standard, while the PCX doesn’t. They did everything except wheel a PCX in and ceremoniously boot it over, which might have made a good antidote to all the numbers and charts. 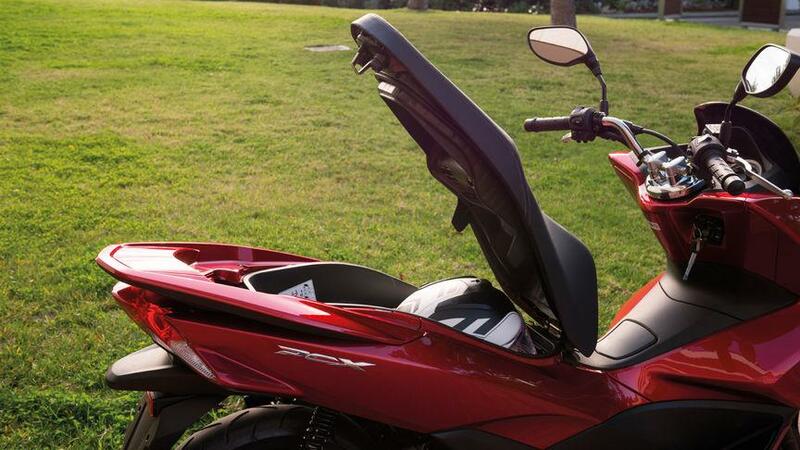 Two features of the Indonesian-built NMAX may make it a real threat to the Honda’s best-seller. One is the standard ABS, a first on a 125 scooter according to Yamaha. It’s quite good ABS too. Lisbon’s many cobbled roads would have been a trial for any ABS system and the NMAX’s acquitted itself well. 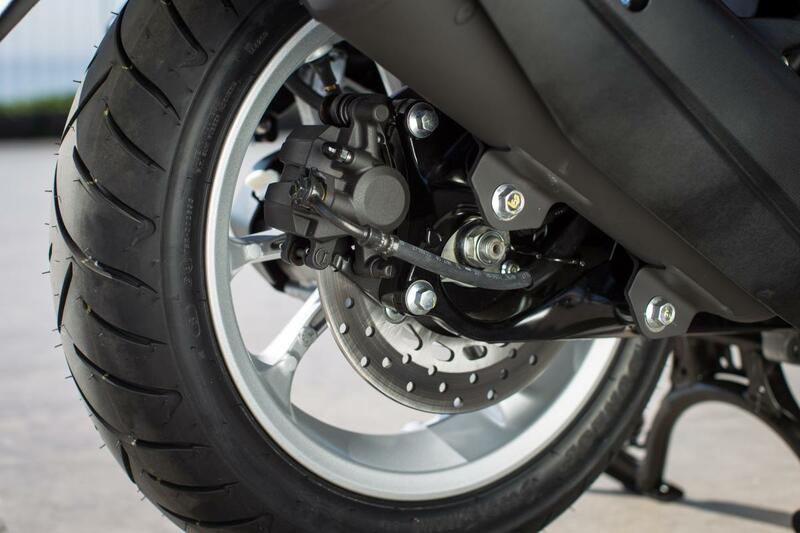 Under deliberately excessive braking, the intervention was marked by vibration through the lever as the machine came to a rapid and controlled stop. 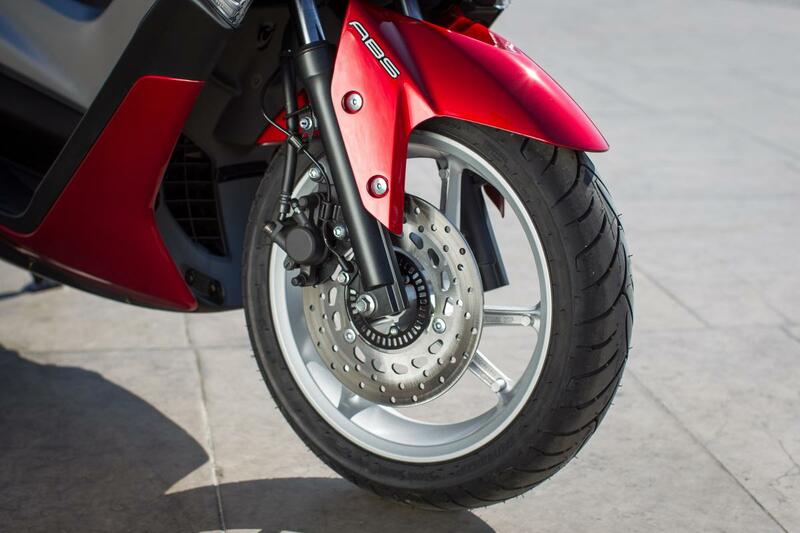 The front 230mm brake disc and single-pot caliper have the power to stop the NMAX quickly under two-finger pressure. If you’re really in a hurry you’ll want to use your whole hand. 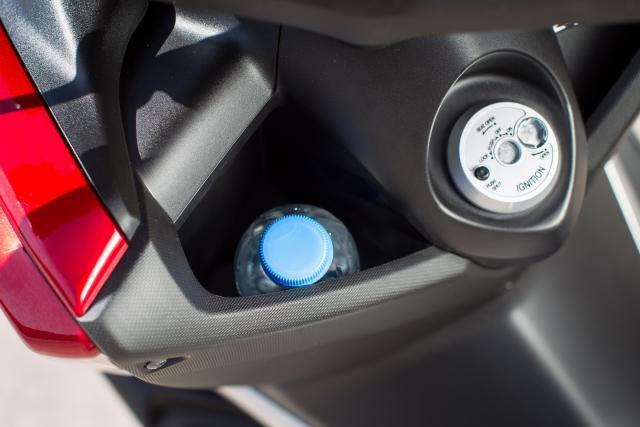 The second feature that could help it take customers from Honda is its variable valve actuation, another first for a 125 scoot. 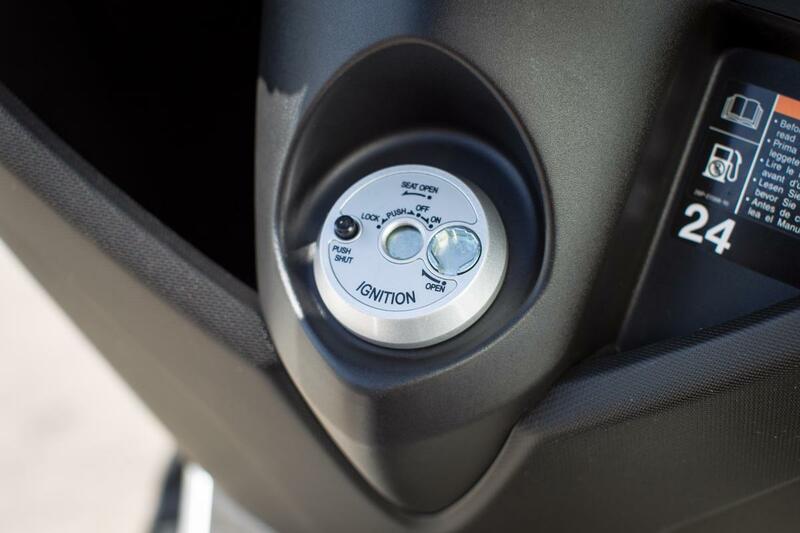 The system changes valve timing at 6,000rpm, with the aim of maximising torque across the range. 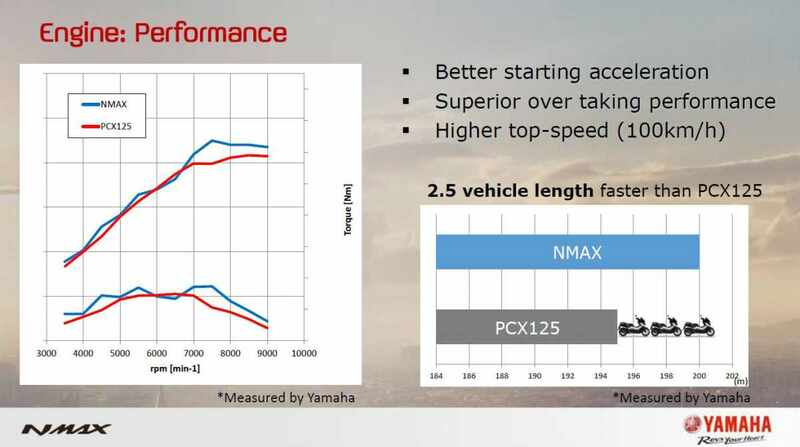 Predictably, Yamaha had a chart showing how it makes more torque across most of the range than the PCX, and a higher peak. 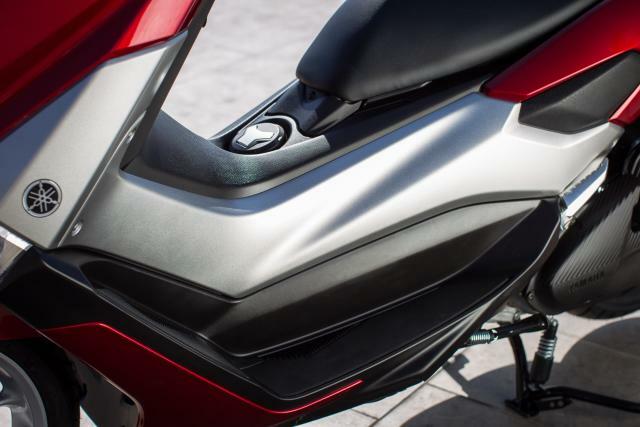 Interestingly, this doesn’t quite seem to match with Honda’s specs, which give the PCX a peak of 8.8lbft while Yamaha claims 8.6 for the NMAX. The NMAX engine does immediately feel strong for a 125cc scooter. Twist-and-gos can often have a slightly delayed throttle response. From a standstill, they respond like they've got something else on. 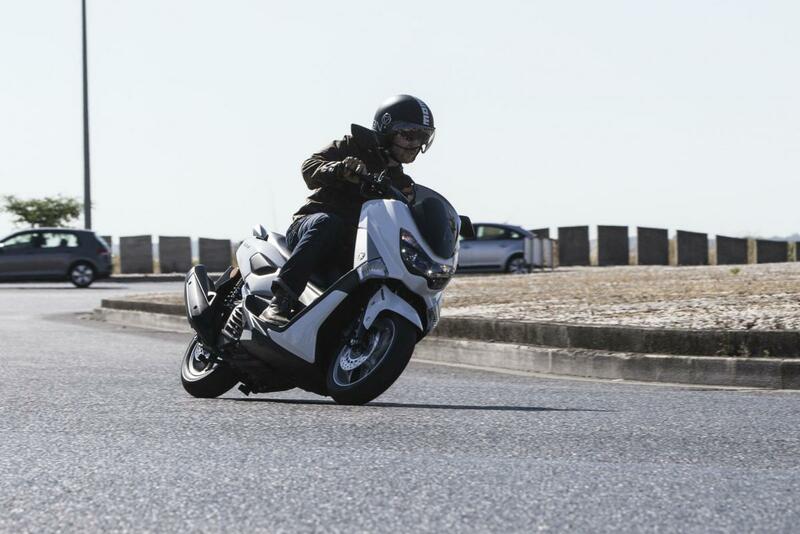 On the NMAX the response is more instantaneous. Give it an experimental twist and the translation to movement is quick and eager. 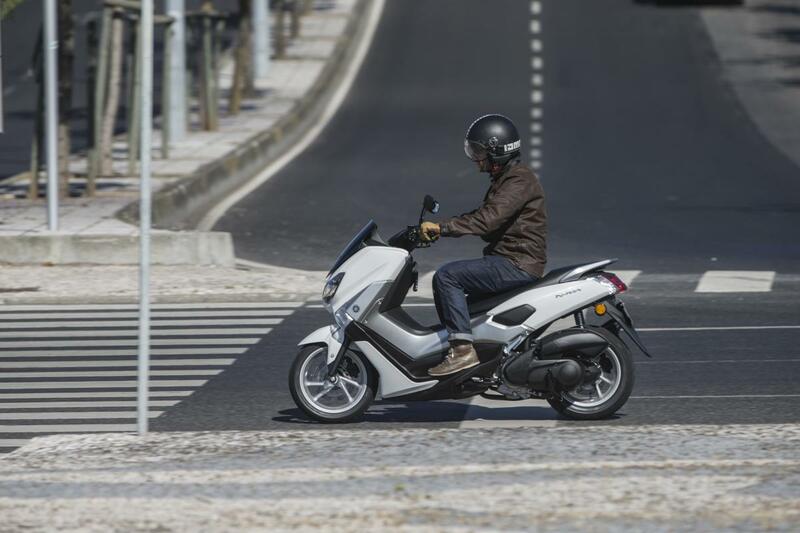 At about 40mph, there’s enough go left to overtake fairly confident, without needing a mile of clear road to complete the manoeuvre. 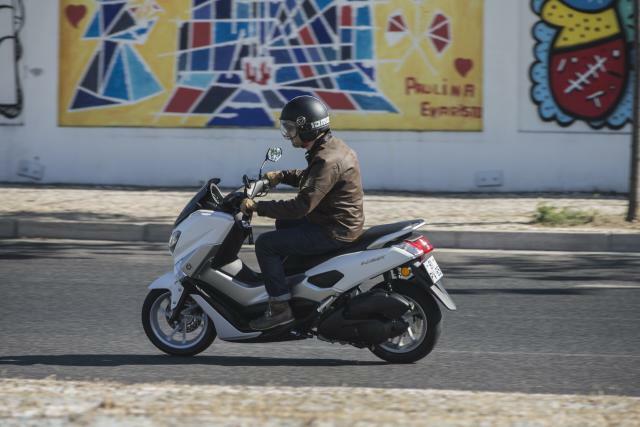 The claimed top speed of 100kph (62mph) seems modest. 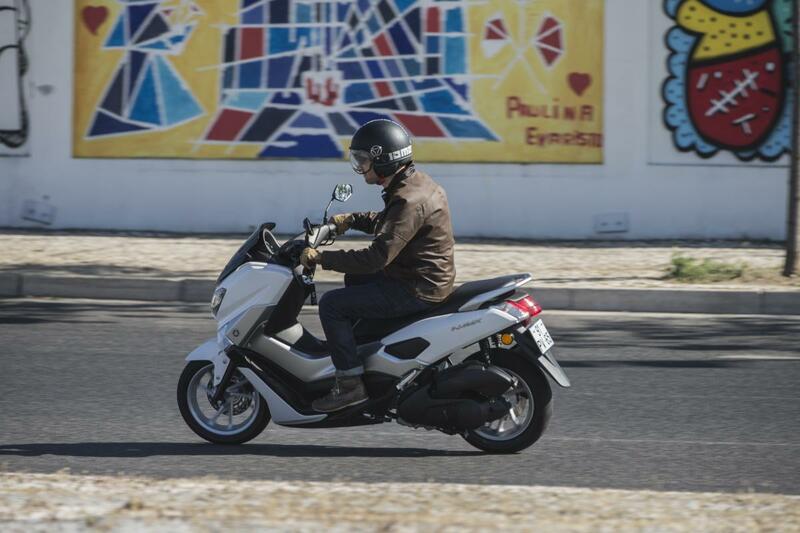 The launch ride was mainly in the centre of Lisbon, with only a couple of brief runs on faster roads. 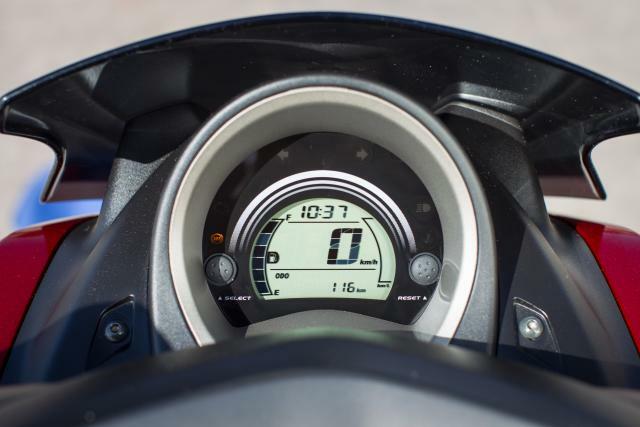 I got to 100kph easily and saw 108kph (67mph) on the digital clock before having to shut-off for a turning. 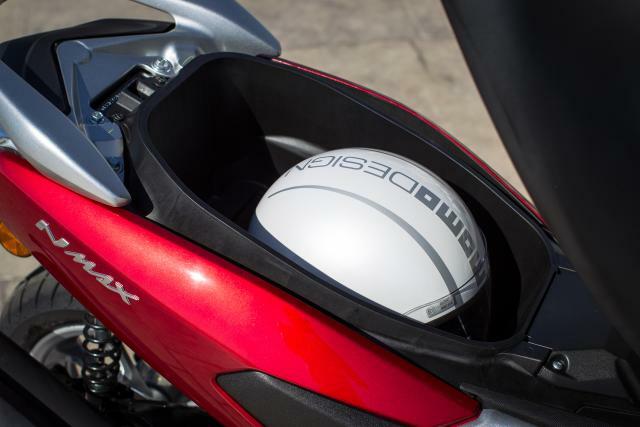 The engine didn’t sound stressed and vibes were well contained but the handling at those higher speeds was on the flighty side. 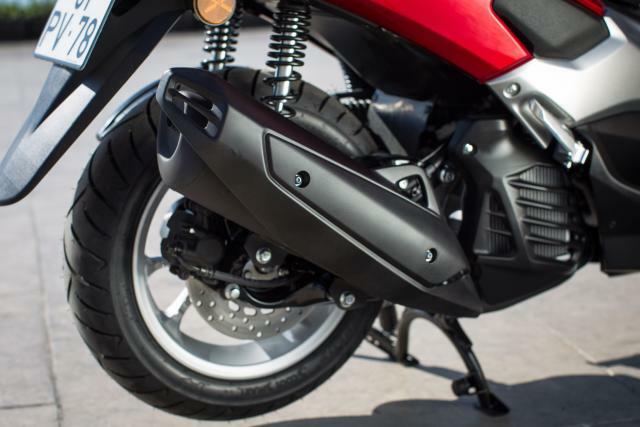 At 50mph, on a curving slip-lane, some bumps induced wobble in the bars, brief and tiny but enough to reveal the sensitivity of the whole chassis to any steering disturbance.